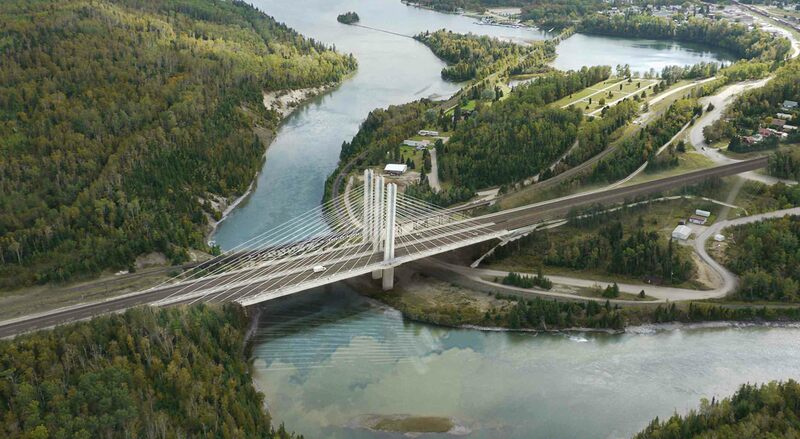 The new Nipigon River Bridge east of Thunder Bay, Ontario will be the first cable-stayed structure on the Ontario TransCanada Highway system. * Construction commenced in 2013 on this four-lane, two-span bridge which will replace an aging, two-lane structure. The new bridge will have three precast concrete towers with cables supporting a 252m bridge deck and separate sidewalk for pedestrians. The center pier reaches a height of 51m above the bridge deck. In a remote area frequently exposed to harsh environmental conditions, the project requires the use of high and ultra-high performance materials that provide superior strength and long-lasting durability. 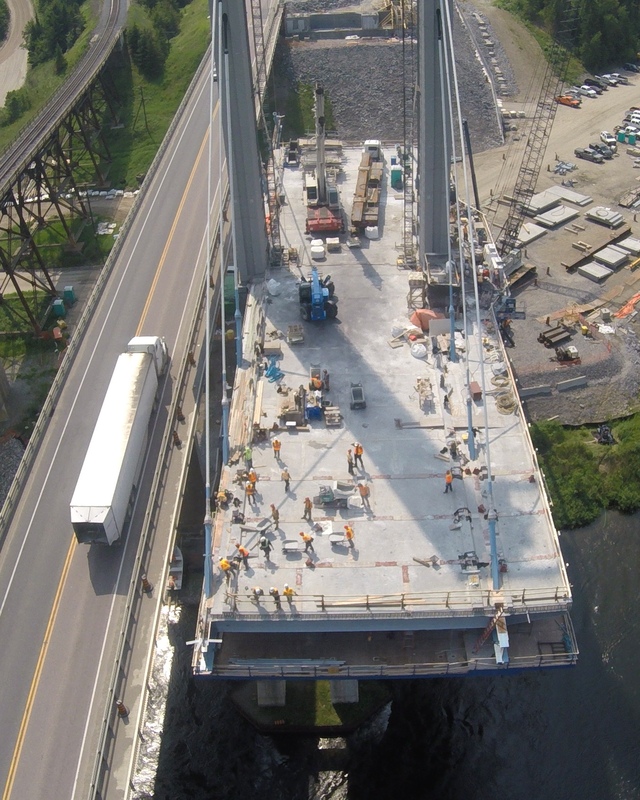 As such, the Ministry of Transportation Ontario (MTO) chose Lafarge's Ductal® ultra-high performance concrete (UHPC) for the connection of precast tower segments to cast-in-place tower segments and the connection of longitudinal and transverse joints to steel girders and beams. Importantly, the use of Ductal® on these structural connections also allows for rapid cable-stayed construction. The MTO (Northwestern Region) was a collaborator and pioneer in the early development and use of field-cast Ductal® connections in North America. To date, they have used our "Joint Fill" solution for multiple applications on 62 projects, with 15 more to be completed this year. Bot Ferrovial Nipigon Joint Venture (BFNJV) is managing the $106-million contract, with full completion expected in 2017 (The bridge will open to traffic this November and work will continue on the southbound lanes in 2016.). By the time it's done, this innovative project will have supported approximately 1,000+ jobs. According to Glen R. Murray, Minister of Transportation: "Our government is improving infrastructure across the province, which creates jobs and strengthens our economy. Projects such as this will help ensure our roads are safe and in good condition for years to come".